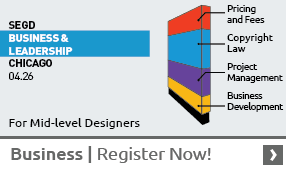 Cambridge Seven Associates, Inc. (C7A) is a world-renowned architecture and exhibit design firm that maximizes the power of collaboration to bring fresh solutions to complex design challenges. Since 1962, the firm has received dozens of awards – including the prestigious American Institute of Architects’ National Firm Award – and is known for its innovative work. We believe C7A has achieved its high level of excellence by employing an integrated, multidisciplinary approach to seek innovative, intelligent solutions to the exhibit experience, and that the final product is enhanced by our diverse practice areas. Our design process is open, inclusive, non-linear, and informed by a wealth of experience in architecture, master planning, exhibit design, construction, art, urban design, and graphic design. C7A’s staff of architects, exhibit designers, planners, and graphic artists continually team with a wide range of clients including history museums, children’s museums, science museums, nature centers, aquariums, visitor centers, and non-museum exhibits. We bring our collaborative approach to a diverse range of project types including museums and aquariums as well as transportation, retail, education, and urban planning projects. Our work in these related public services has an enormous impact on our understanding of how the public moves, learns, and plays, how they can be engaged, and what it takes to create meaningful experiences. Cambridge Seven Associates has practiced throughout North America and in Europe, Asia and the Middle East. We understand and can share the experiences of a wide range of client types, and our design is informed by our exposure to the diverse set of cultures in which we’ve worked. 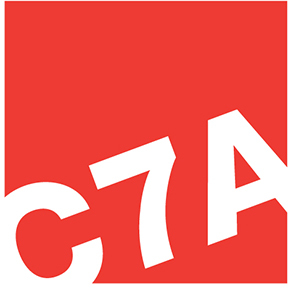 At our core, C7A is committed to a continuing search for innovative and unique solutions to design problems based on a thorough analysis and understanding of each client’s needs. View more projects from Cambridge Seven Associates. Connect with Cambridge Seven Associates on Facebook and Twitter.